Welcome back! Cobalt Chronicles has a fresh look! I mentioned in my out-of-office post that I was taking last week off from publishing new posts here on the blog to focus on giving my little corner of the internet a refresh. While my old design served me well, my site had looked the same since day one, which was over three years ago! I was ready for a change. I’m ecstatic about the new layout of the site! I worked really hard last week not only on the design of the site but on backend items as well that will hopefully make navigating the site easy for you as a reader! My About page has a fresh new feel! It’s updated to reflect my current stage in life. I also included links to a few popular posts and categories here on the blog for easy access. My Resources page has always been one that I’ve wanted to shine more light on. It includes my top travel resources, where I shop, and blogging resources. 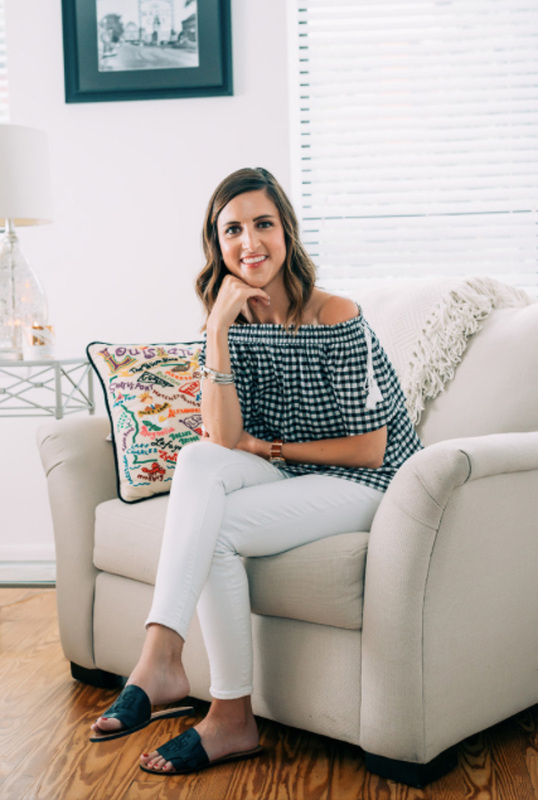 Every item and service included on my Resources page is a product that I stand behind 100 percent! I updated the page to include a few new resources. I want this page to be a one stop shop for you to access my favorite things across travel, shopping, and blogging! The Shop dropdown tab at the top of the page is where you can find my Amazon Favorites, Workout Gear Favorites, Clothing Favorites, Favorite Shoes, Favorite Accessories, and Beauty Favorites. I’m constantly updating all of these shops so be sure to click over on those every so often! The shops are also where you can almost always find items that you see me wearing on repeat! You can always shop all of my Instagram posts here on the blog by clicking on the Shop My Insta tab! Never miss a new post AND receive exclusive, newsletter-subscriber-only information when you sign up for my newsletter! Don’t worry, I won’t spam your inbox. 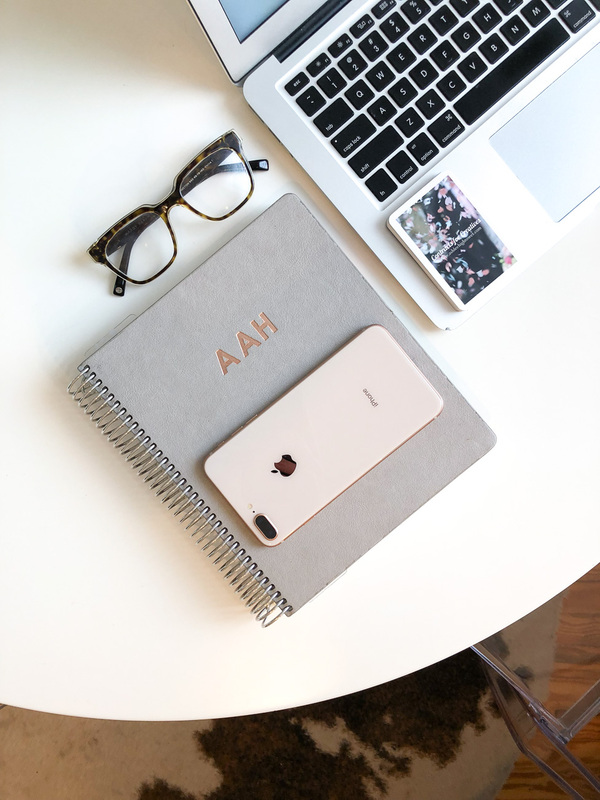 You’ll receive a notification on days when there’s a new blog post, and I’ll send out information on noteworthy sales so that you don’t miss out! Subscribe here. You can also filter out posts by category by clicking on the Style, Travel, and Wedding tabs at the top of the page. I hope you love the new layout and design as much as I do! Now onto this outfit! 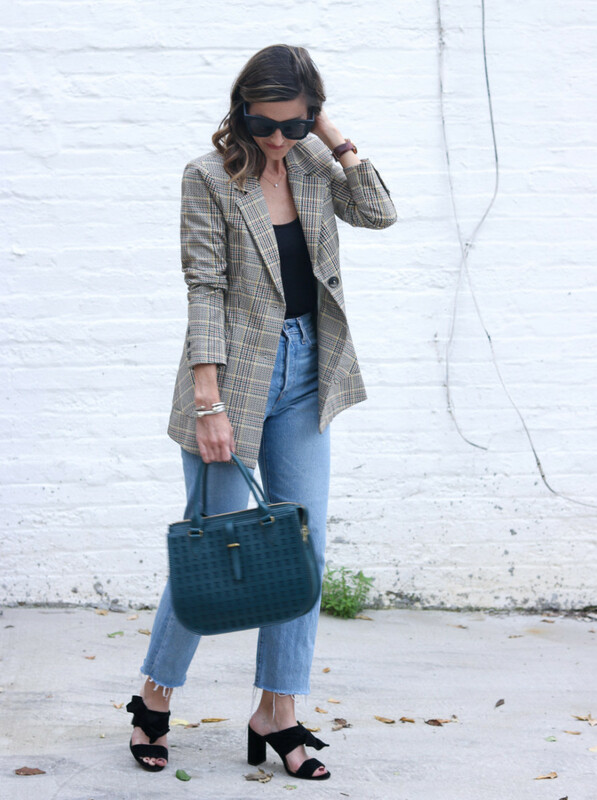 I’m pretty sure I found the perfect plaid blazer for fall! I’ve shared this blazer on Instagram twice now (here and here), and y’all have LOVED it! It’s one of my favorite new pieces that I added to my closet this fall. It’s perfectly oversized (I’m wearing a Size 0), the quality of the fabric is outstanding, and I love the plaid pattern. I paired the blazer with one of my favorite pairs of Levi’s and a fitted black tank. The color of my bag matches the subtle green in the blazer perfectly! Unfortunately, these suede heels are sold out. I snagged them at the end of the summer season on MAJOR sale from Ann Taylor. I’ve never really shopped for shoes at Ann Taylor, but after this buy, I’ve started browsing their selection more often. They have some of the cutest shoes! And they almost always go on sale! Thanks Jordan! It was so much fun redesigning it! Glad you like it! OBSESSED with the new look of the site and this outfit!! Killin’ it girl! Thanks so much, Morgan! It was fun to go through the redesign! Excited about the fresh look!